Yamaha has introduced a new and relatively affordable version of its flagship motorcycle, the YZF-R1 - it's called the YZF-R1S. Aimed at younger takers, the R1S is cheaper than the the regular R1 by over a lakh. Wonder what they've done to the motorcycle? Here's all the dope. First off, Yamaha has replaced the superlight, multispoke magnesium alloys with a set of five spoke aluminium wheels. The magnesium oil pan and right side engine cover on the standard R1 have been replaced by aluminium ones on the R1S. Yamaha claims that the 998cc inline four engine has not been detuned but it now uses conventional bits for its internals. Changes include steel connecting rods as opposed to titanium ones in the R1. The cylinder head is the same but uses different valve springs, which explains the lower redline. The titanium exhaust headers have been replaced by stainless steel ones. Barring these changes, the R1S is similar to its siblings while being a little more accessible. This means the R1S also gets electronic bits such as traction control, wheelie control, launch control, slide control and six-axis Inertial Measurement Unit. The R1S also gets longer lasting Bridgestone Hypersport S20 tyres. 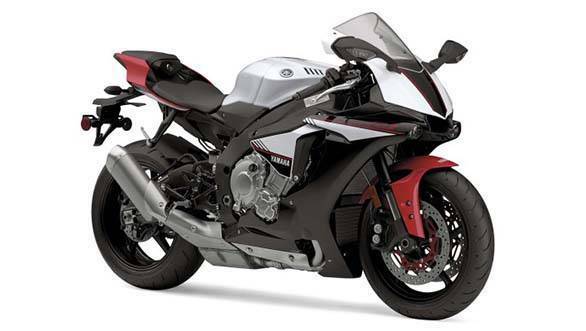 The 2016 R1S will be available with two colour options - Matte Grey and a combination of white, black and red. Expect Yamaha to launch the YZF-R1S in India by next year.